New York’s largest borough often falls by the wayside when it comes to choosing a holiday destination, with Manhattan and Brooklyn topping most people’s lists. But once you’ve been to Queens, you’ll wonder what kept you away for so long. It’s arguably New York’s most culturally-rich, ethnically-diverse, historical, artistic and all-around captivating borough, and it is the very definition of the term “world food destination”. 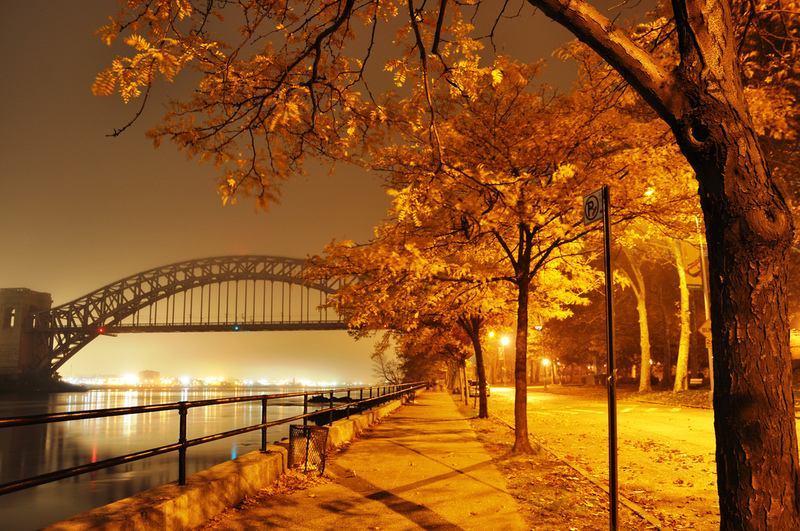 Read on to discover why you should spend autumn in Queens from now on! The question should be “Where to start?”! I could fill this entire blog with posts about where to eat in Queens, but as a newbie to the county, it pays to get a bit oriented with the specialties of each particular district. Corona is where you want to go if Mexican food is your thing. Flushing’s Chinatown is bigger than Manhattan’s counterpart. Elmhurst is all about Thai cuisine. Jackson Heights is the spot for Indian food, and in Astoria you’ll find Japanese, Peruvian, Tibetan, Egyptian and Colombian specialties, as well as the greatest number of Greek restaurants outside of the Mediterranean! And that’s to say nothing of the street food you can find here. From arepas to Italian ices, if someone’s cooked it anywhere in the world, it is pretty much guaranteed that you’ll find an equally delicious version of it in Queens. Al-Sham Sweets, Steinway St., Astoria – Situated in the amazing Little Egypt, Al-Sham’s is a Middle Eastern bakery offering a whole host of treats and delights, but my favourite is the kanafeh. This is a sweet pastry snack consisting of a mild cheese, sandwiched between two sugar syrup-soaked layers of thin, crispy pastry—delicious! Khao Kang, Woodside Ave., Elmhurst – The definitive restaurant for sampling Thai cuisine in the borough, Khao Kang offers fresh home cooking flavours in a steam table restaurant. With a typical rotation of around 10 dishes, you can sample the best curries (including the restaurant’s special green curry) by ordering a combo plate of three dishes and rice accompaniment. It comes in at less than $10, too. Samudra, 37th Ave., Jackson Heights – Even though it’s a vegetarian restaurant, Jackson Heights Samudra offers a heavenly slice of South Indian cuisine. With a menu of dishes in stark contrast to the plethora of northern curry houses and kebab grills nearby, Samudra’s chaat is the best you’ll find in the state. 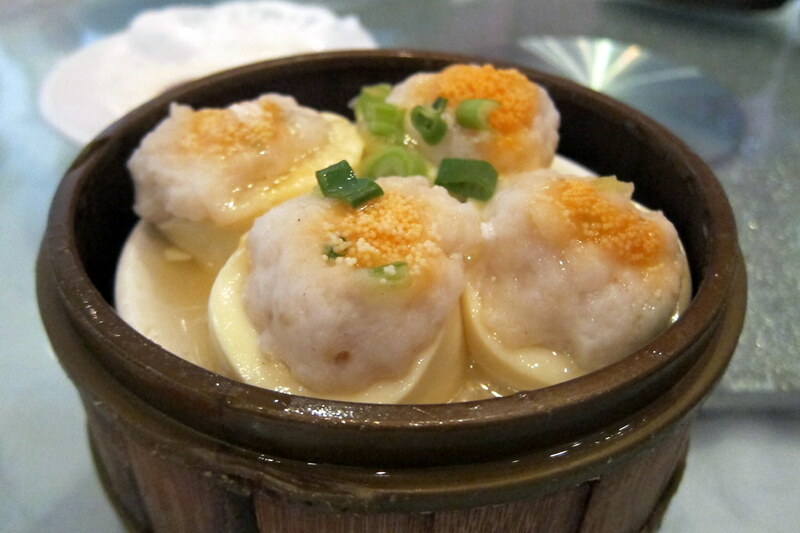 White Bear, 135 02 Roosevelt Ave., Flushing – Squirreled away in Flushing’s huge Chinatown, you’ll find the best dumplings in the neighborhood at White Bear food stall. Don’t let its styrofoam plates put you off; if you come during the weekend, you’ll see hordes of locals lining up for its chili oil wontons! Rincon Criollo – You may need to wait for a seat at Rincon Criollo during peak hours, but the culinary rewards more than make up for it. This local Cuban restaurant specialises in home-cooked flavours; oxtail stew, gourmet paella and ropa vieja are all in abundance here. The Queens Jazz Trail in Corona should satisfy all you culture vultures out there, particularly if you pay a visit to the former home of the inimitable Louis Armstrong. Now a museum, Armstrong’s landmark home is just one musician’s former residence that you can find on the trail. Other highlights include the former abodes of Ella Fitzgerald and funk legend James Brown. If you happen to find yourself in Queens between August 27 and September 9 this year, you might be able to take in match or two from the US Open schedule. This is one of the hottest events happening in the borough this autumn, not least because the ‘Big 4’ male players—Federer, Nadal, Djokovic and Murray—are all set to battle it out on the court. Thanks to the Queens Museum, you could buy your own New York apartment for just 100 bucks. OK, it’s in miniature form, and you might have to share it with a few other “owners”, but the museum’s Adopt-A-Building program for its 9335 square-foot “Panorama of the City of New York” miniatures exhibition (initially created for the 1964 World’s Fair) could make your dreams come true! The longer you can spend in Queens the better, so if you can book a trip for a week or three then do it. Just remember—once you’ve been, you’ll want to go back time and time again.